UFCW members in New Jersey, Washington, and Minnesota are celebrating several recent hard-won achievements that are making jobs for health care professionals better one workplace at a time. Having a union contract at work means they have a say in their benefits and working conditions, which not only is better everyone at work, but over time the joint efforts of UFCW members all across the country help raise the standards for everyone in their industries. Well done, UFCW Local 21, 152, and 1189 members! 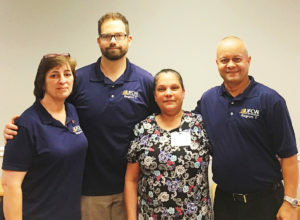 Members of UFCW Local 152 who work as certified nursing assistants, housekeepers and dietary assistants at Barclays Rehabilitation and Health Care Center in Cherry Hill, New Jersey, recently ratified their first union contract. This ratification marks the end of a long journey for the workers, who voted to join UFCW Local 152 in April of 2016 and stood together in the face of scheduling conflicts and other hurdles during the negotiation process. The five-year agreement introduces many new perks for these workers. Perhaps most importantly, these members are no longer “at-will employees” and can only be disciplined or discharged for just cause. Next, seniority (length of service) now matters for times when these members bid on jobs, apply for overtime shift availability or accrue vacation time. The new contract also includes a $15,000 life insurance policy, guaranteed wage increases for the life of the contract, free uniforms (shirts and pants), call-in pay and a modified certified nursing assistant incentive bonus. 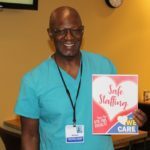 On July 3, the last in a series of votes concluded the ratification of new contracts for members of UFCW Local 21 who work for MultiCare Health System in Washington. Nearly 2,000 members of UFCW Local 21 are covered by these contracts, including professional, technical, service, engineering and clerical workers, as well as licensed practical nurses. 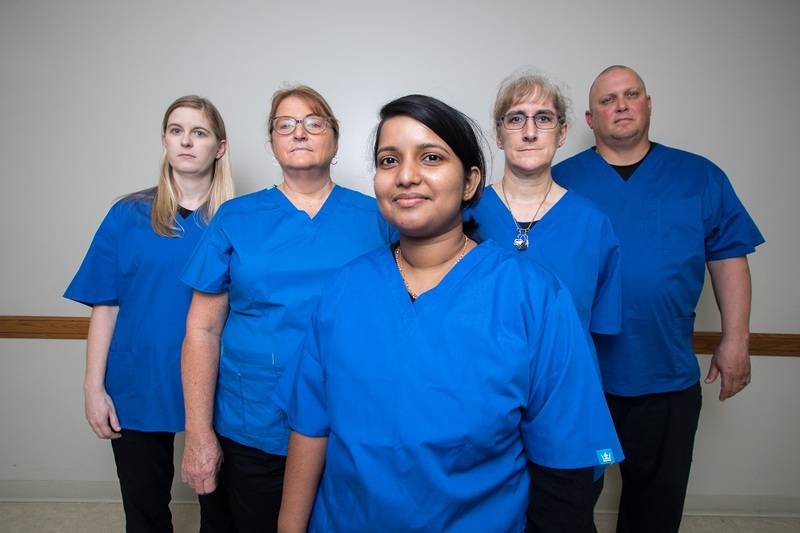 By taking action together and with community support, these members won strong contracts that include wage increases, improved language for safer staffing, and more predictable scheduling. Members of UFCW Local 1189 who work at two Essentia Health clinics and two pharmacies in Minnesota ratified a new contract on June 27 by an overwhelming margin. The clinics are located in Duluth and Proctor and the pharmacies are located in Two Harbors and Silver Bay. Essentia Health is an integrated health care system with facilities in Minnesota, Wisconsin, North Dakota, and Idaho. The three-year contract includes significant wage increases, orientation with new union members, payroll deductions for the UFCW Active Ballot Club, and other benefits.